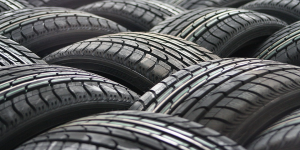 Speedy Oakwood Auto Repair Inc. offers a wide selection of both new and used tires. We carry many name brand tires. Looking for something in particular? We can get most tire brands and sizes. Speedy Oakwood Auto Repair Inc. offers discount prices on top brand tires, properly installs the tires on your vehicle, and gets you quickly and safely back on the road. Don’t know what tires you want? Let us help you.